Though it isn’t yet as popular as DSL or cable, fixed wireless Internet is steadily growing in popularity. Many believe that fixed wireless Internet access is the way of the future, and there are some compelling reasons to believe this. In the next few years, this type of home wireless internet options are likely to become the standard, and those who are able to adopt technology quickly will be more competitive on the market. Fixed wireless Internet is achieved through a dish or antenna, without the need for either a cable service or a telephone service. Radio waves are beamed directly to a receiver so that a household or business can receive high speed Internet signals without having to run cable lines or landlines to their home. Fixed wireless is currently most useful to those who are living in areas where cables have not been run or where the Internet is either prohibitively expensive or slow. Due to its limited need for infrastructure, fixed wireless is more affordable and versatile than other Internet options. It’s easier to setup the equipment. You don’t need to run wires directly to the property, nor do you need to maintain them. Instead, the radio waves can be sent directly to a receiver, which can be easily installed on the home itself. There usually aren’t any data caps. Other wireless services, such as satellite-based and cellular-based services, typically have data caps that limit the amount that you can download. You can get high speeds. Fixed-point wireless Internet services tend to be as fast or even faster than broadband. If you need fast Internet services, you may want to inquire about wireless Internet. Fixed point wireless Internet is steadily increasing in speed as technology improves. It can also provide service anywhere and is the best option for when it comes to unlimited high speed internet for rural areas. It’s proven technology. Fixed wireless technology has grown in stability, reliability, and cost-effectiveness for decades as the preferred connection for big businesses and the military, but recent advances have made it a more viable, affordable option for all businesses and homeowners. As fixed-wireless Internet access is still an emerging technology for residential customers, it can be more difficult to find, but Phoenix Internet is changing that. There are over 1,400 fixed-wireless providers throughout the United States, but not all of them are made equal. As the technology has advanced considerably in the last few years, vendors that haven’t kept their technology updated may not have competitive options. Meanwhile, Phoenix Internet has continuously invested in their network, adding new facilities and upgrading their technology to not only out-compete other Fixed-point wireless providers but to topple the duopoly of Cable & DSL! When comparing fixed wireless access services, you’ll need to compare speed and reliability. You want a provider that can guarantee a certain percentage of uptime, in addition to the right download and upload speeds for you. You can compare these speeds to the other types of Internet service that are available in your area. Fixed wireless Internet providers are able to be beamed directly into a home without the need for running physical lines. Wireless Internet access is easy to install and maintain, making it easier for homeowners and businesses that don’t want or cannot have cables run. Fixed wireless Internet access often has speeds that are comparable or exceed broadband Internet access, in addition to not having data caps. 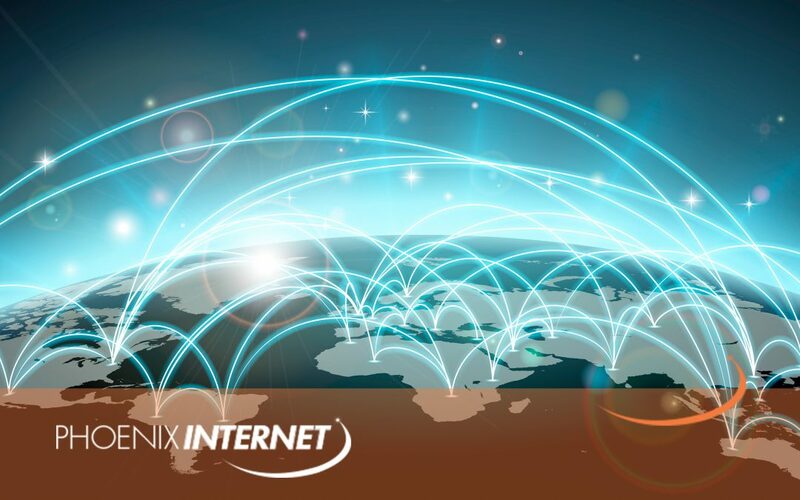 Most fixed wireless connections do require line-of-sight within a service range, but new technologies being deployed by Phoenix Internet today are lessening that requirement and expanding their service range. Whether you’re upgrading your Internet service now or you’re thinking about the future, you should keep fixed wireless Internet access in mind. Fixed wireless is going to become a standard for Internet service throughout residential and commercial applications. For more information, contact the expert Internet specialists at Phoenix Internet, or check the coverage map.